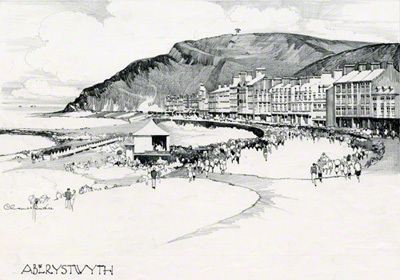 This is a view of the beach at Aberystwyth looking north towards the hills and the Aberystwyth cliff railway. A pencil drawing by Claude Buckle. This image was used on a set of menu cards for the Great Western Railway holiday season. Created in 1935.